The trolley is a practical accessory, easy to use, with a weight of only 8 kgs and large swivel wheels. 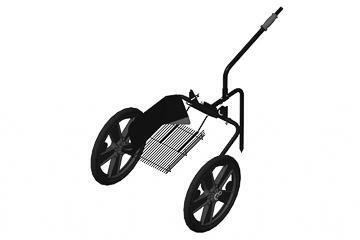 - the transport handle allows you to easily maneuver the trolley to make the job much safer. The trolley is shipped in a very compact box (52x55x24 cm) and thanks to its versatility can be used with both the V1200 vacuum and with the BL1200 blower.